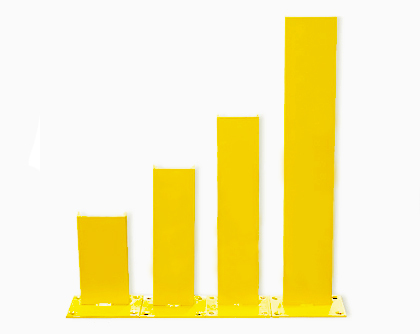 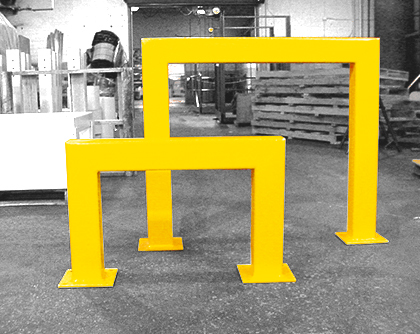 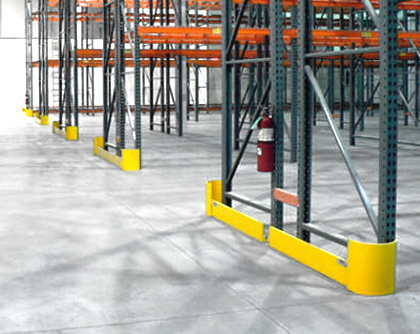 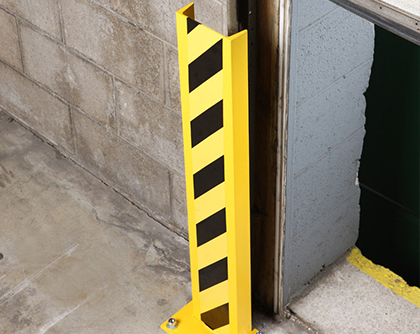 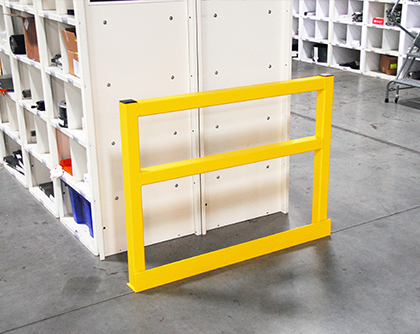 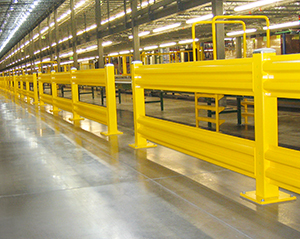 Safety Bollards help protect warehouse equipment from scratches and dents, and employees from accidents, by creating a vertical physical barrier from fork trucks. 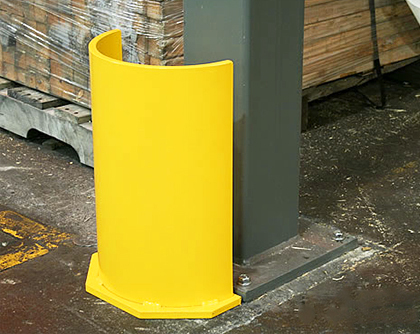 Strong protection is provided by a square steel tube, measuring 5" x 5" x 3/16", welded to a 10" x 10" x 3/8" base plate, topped with a galvanized steel cap. 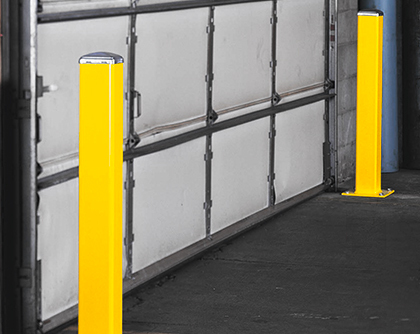 Safety bollards are available in heights of 24", 36", and 42".